Today my guest on the podcast is Josh Clark. 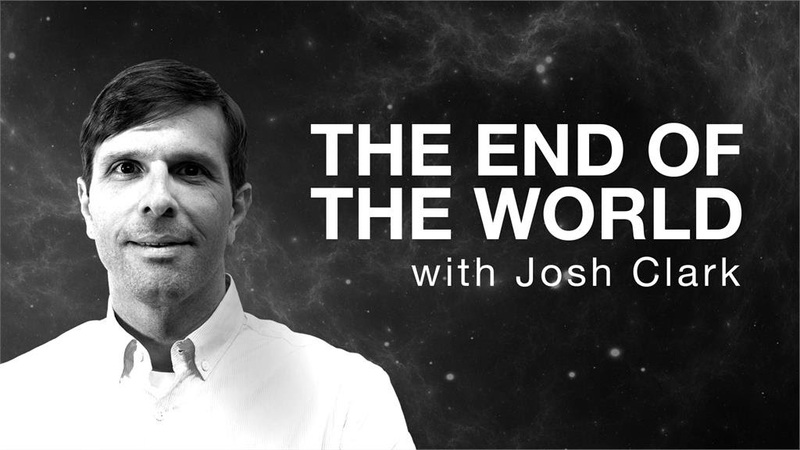 You probably know him from Stuff You Should Know, but I had him on the show to discuss his latest project, The End of the World. On this new show, Josh discusses the existential risks humankind faces and assess how they may be coming in the form of the technology we’re beginning to develop today. He is joined by a number of experts across the podcast’s ten episodes, from astrobiologists to philosophers to economists and transhumanists. You can find his podcast wherever you found this, so make sure you give it a listen. It's a fascinating show that manages to bridge the gap between information we need to know and the information we want to know. And that's not nearly as easy as it sounds. The music in this episode is provided by Bensound. The next time you have a multi-media project that could use some royalty free music, check out bensound.com. Big thanks to Josh for taking a half hour out of his day to chat with me. The show is THE END OF THE WORLD, download, subscribe, leave a review, it's a great show that deserves your support. To hear my conversation with Josh click play on the embedded player below.